Parents – Don’t let your children watch Nickelodeon! They will grow up to be vulgar misogynists like Nickelodeon employee Jason Biggs. The image, Miss Me Yet?, is subject to copyright by rboyett2001. It is posted here with permission via the Flickr API by barneykin. Did he ever dream that prayer would be outlawed in his nation? 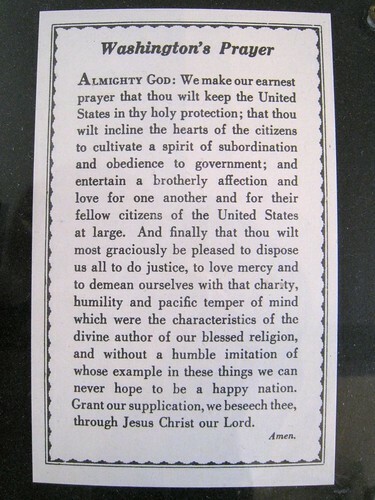 The image, Washington’s Prayer, is subject to copyright by Edna Barney. It is posted here with permission via the Flickr API by barneykin. You are currently browsing the archives for the Kerfuffles category.